Providing top quality treatments that instigate real change in the human anatomy & physiology to treat and / or manage client concerns with results and better quality of life. Providing advanced training for therapists & Helping clients to understand what is going on with their bodies and what can help them to look & feel better. Working together as a team with empathy, honesty and integrity. Getting results, looking & feeling better often from the first or first few treatments / sessions. Sharni is an Advanced Paramedical Endermologist & Therapeutic Trainer with a long background in the Paramedical Health, Wellness & Beauty industry, including tenures with two of the previous Australian LPG Distributors as well as Exhibitor / Guest Speaker appearances at the Sydney Spa & Beauty Expo and the Mind Body Spirit Festival. 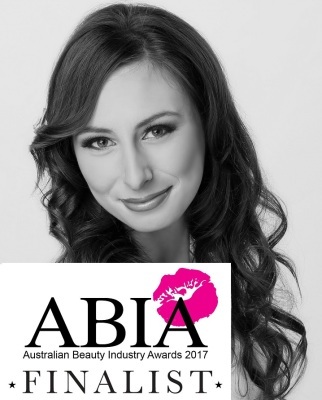 In 2017 Sharni was announced in the Top 10 ABIA (Australian Beauty Industry Awards) Therapist of the Year and in 2016 was the recipient of both the Sutherland Shire Local Business Youth Award & the Shelley Wood Award for Hope, Courage & Inspiration. Sharni has been sought after as both trainer and mentor for therapists & clinics across the country. She is known for her dynamic and memorable treatments & teaching exprerience and has developed the 'Treat - Educate - Inspire' philosophy for her learners to follow to success. This is the same philosophy she applies in her own treatments at Alkaline Clinic in Potts Point. Sharni provides some of the most advanced Endermologie treatments & training in Australia, working with conditions such as Chronic Pain, Frozen Shoulder, Radiation Induced Fibrosis and Spinal Compression (Bulging & Herniated Discs). 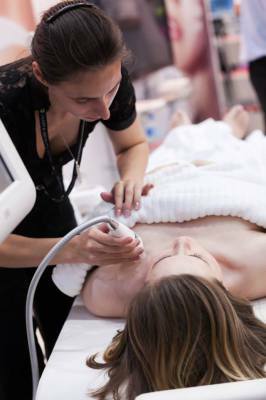 Sharni teaches Basic through to Advanced Endermologie and mentors therapists at many clinics around Australia. Sharni has become known as 'The Mad Scientist' because of her notable passion for human sciences, undeniable results and her unique treatment plans that combine the best of natural and paramedical approaches. She is also known for educating her clients on how their bodies work, what is a miss and how to fix it with lifestyle changes & products.